“Swamp Thing” is coming back to TV. 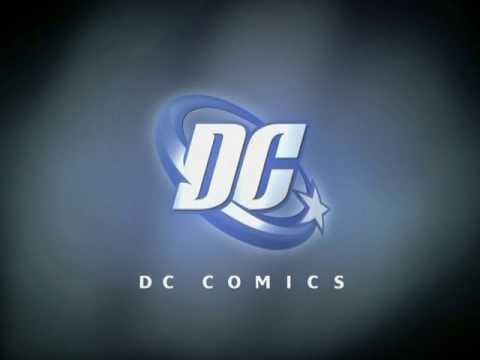 The DC Universe comic is now filming the TV show in NC and there are casting calls out. The show’s extras casting directors are looking to cast paid TV show extras in the Wilmington area to fill various small, non-speaking roles in scenes filming shortly. According to a story in Variety, the show will follow the character, Abby Arcane (played by Crystal Reed), as she gets involved in a mystery going on within a small town in Louisiana. That investigation takes her into… you guessed it, the swamps of Louisiana, where she finds what is thought to be a viral outbreak. She soon realizes that there is something odd going on within the swamp which may not be anything anyone has ever seen before. The Swamp Things TV show will also star Jennifer Beals, Will Patton, Virginia Madsen, and Maria Sten. “Swamp Thing” is based on the DC comic book which was actually made into a TV show many tears back. The Swamp Thing TV show originally aired in the early 90’s and according to the IMDB description….. It was the adventures of a man-turned-muck monster. Swamp Thing was once a man named Alec Holland, but after being caught on fire, doused with strange chemicals, and dumped into the Louisiana swamps by the evil Dr. Anton Arcane, Alec’s body mutated. No longer is he human, or even an animal. His body is made from the muck and plants of the swamp. He’s super strong and can make plants do his bidding. The original DC comic characters were created by Len Wein and Bernie Wrightson. Also according to the Variety article, the new reboot of “Swamp Thing” comes from Atomic Monster as well as Warner Bros. Television. The show is set to premiere on streaming services sometime in 2019. LOOKING FOR THE FOLLOWING TYPE OF EXTRAS FOR THE END OF THIS WEEK. ONE IS A SPECIAL ABILITY ROLE. DATES ARE NEXT TO THE ROLE. CALL TIME ON THIS DAY WILL LIKELY BETWEEN LUNCH AND EARLY AFTERNOON. Males and females, all ethnicities, ages 25-50. Must be a new face or have only been used on larger days! Must be able to attend a fitting on Wed, March 27th. Pay rate is a listed next to each role. Call time could be as early as 5:30am and filming days can last up to 12+ hours so please come prepared. Those submitting must be able to work AS LOCAL TO THE WILMINGTON, NC AREA! Two recent photos (a body and head shot – may be taken with phone), Name, Contact Number, Age, Location (City, State), Height, Weight, Shirt Size, Pant Size, Jacket Size (if applicable), Dress Size (if applicable,) Shoe Size, AND a Description of any tattoos or piercings. SWAMP THING- WILMINGTON, NC: LOOKING FOR A LIVELY, ATTRACTIVE GROUP OF EXTRAS FOR FRIDAY, MARCH 1ST! Males and females, all ethnicities, ages 21-45 (this is a firm age range.) Those submitting must be in good physical condition. Pay rate is a GUARANTEED $64/8 hrs and time and a half for every hour that exceeds the 8th. Call time is likely to be late morning to early evening. Filming days can last up to 12+ hours so please come prepared.